The ultimate aim of training is to improve task performance towards expert level. Novices and experts differ in their capability to understand and make sense of sensory information (for example, perception on environmental hazard). Computer-aided training, from online course to immersive simulation such as Virtual Reality (VR) . van Wyk and de Villiers  define VR-based training environments as “real-time computer simulations of the real world, in which visual realism, object behavior and user interaction are essential elements”. 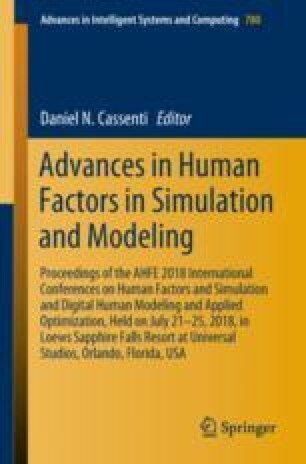 The use of VR-based training environments assumes that Human-Machine interaction stimulates learning processes through better experiencing and improved memorization, leading to a more effective transfer of the learning outcomes into workplace environments. However, there are many human factors (internally and externally), which have impact on the quality of the training and learning process which need to be identified and investigated. The present study was conducted with Coal Services Pty Ltd, a pioneering training provider for the coal mining industry in NSW, Australia. The research focussed on 288 rescuers and the specific training programs developed for them. In this article, initially factors affecting the quality of the training and learning process for underground mine rescuers have been identified and then measured by using pre- and post-training questionnaires. We attempted to determine how much of the trainees’ perceived learning could be explained by pre-training (9 in total) and post-training (16 in total) factors. The relatively small size of the sample (288 observations for 17 predictors) and the high level of correlation between variables led us to Principal Component Analysis (PCA). Principle Component Analysis (PCA) has been used to investigate the underlying relationship among different variables. This technique results in factor reduction based on hidden relationships. Based on the nature of the pre-training factors mostly contributing to each component we have used the first 3 Components to create 3 new aggregated variables: “Positive State of Mind” (Component 1), “Negative State of Mind” (Component 2) and “Technology Experience” (Component 3). Similarly, based on the nature of the post-training factors mostly contributing to each component we have used the first 3 Components to create 3 new aggregated variables: “Positive Learning Experience” (Component 1), “Negative Learning Experience” (Component 2) and “Learning Context” (Component 3).